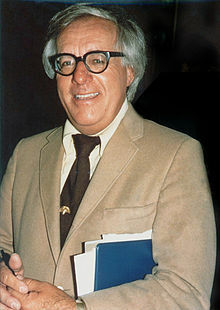 Ray Bradbury, the man who wrote classic books such as Fahrenheit 451, The Martian Chronicles, and The Illustrated Man, died yesterday in Los Angeles. I shed a few tears when I read that this morning. Ray Bradbury was one of the first science fiction authors that I read, introducing me to a genre that influences me to this very day. I could ramble on for pages over the insights reading Bradbury books bring to readers, or how even Hollywood loves Ray Bradbury with the making of several books into movies. 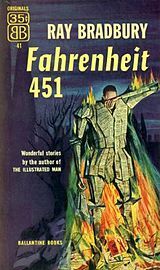 I could wax eloquently over the evil of burning books, or the destinies which mankind faces, or any of the other topics that Bradbury covers. "People ask me to predict the future, when all I want to do is prevent it. "Better yet, build it. Predicting the future is much too easy, anyway. You look at the people around you, the street you stand on, the visible air you breathe, and predict more of the same. To hell with more. I want better." Here's hoping that we manage to build a better future. Thank you and goodbye, Mr. Bradbury. I hadn't seen this news yet...I'm so sad to hear it. :( I love his Martian Chronicles. Would you believe I still haven't read Fahrenheit 451? My older son read it when he was about 11 and I still haven't. D'oh. It's a great loss for the literary world.